When you're trying something new, not every attempt will work out. 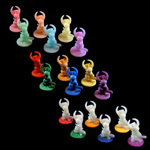 For glow in the dark pawns, we had our share of duds. The batch at the top is standard GITD material, with a dye injected into the mold. The "glowing" part of GITD was reduced noticeably, and the color match to the original colors was not nearly close enough for us. 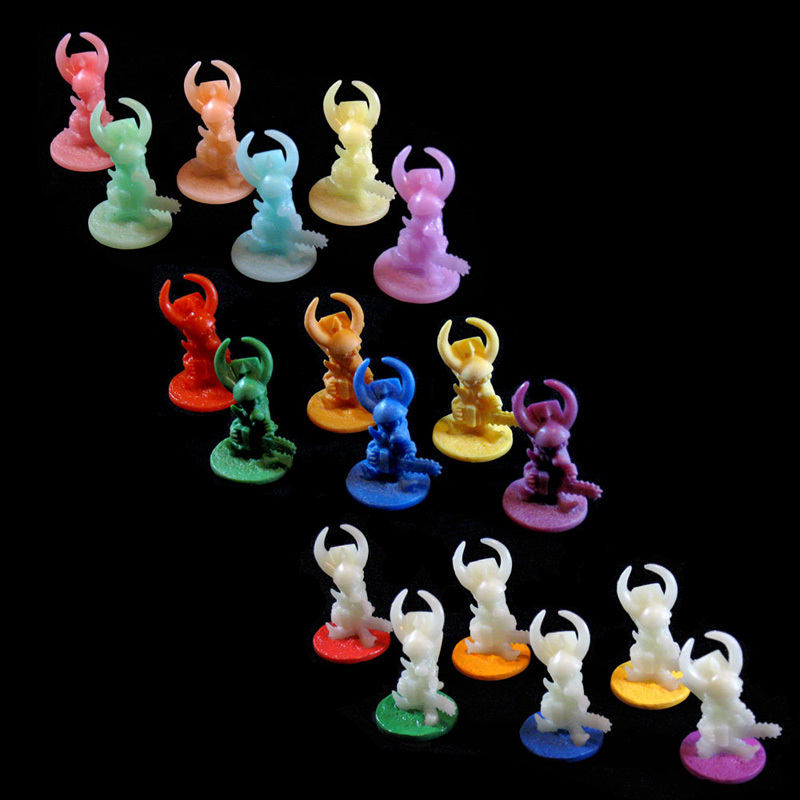 The middle batch is colored plastic, with a coating of glowing paint. The glow was even weaker than the top batch -- too weak to really even be called "glowing." The bottom batch is the normal GITD material, with painted bases. These have the brightest glow, with the best color. Nope, still not telling what these are for.